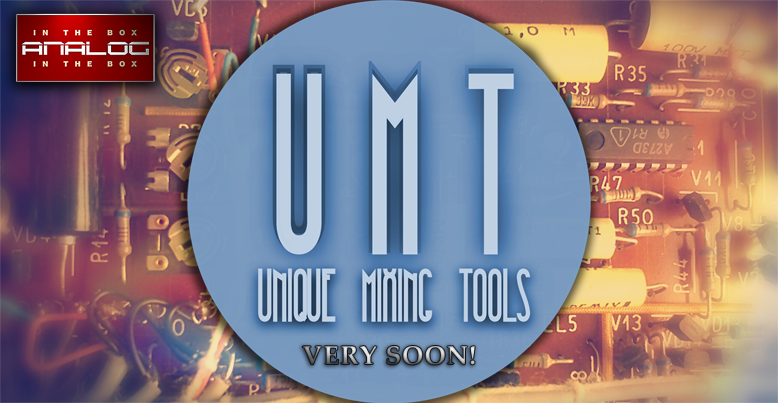 We are happy to introduce our new "Unique Mixing Tools" product line. While previous releases were focused mainly on the emulation of high-end hardware, the "Unique Mixing Tools" are of a very different kind: Each library has been created by modifiying, combining, and sometimes even "abusing" a vast range of analog hardware. From tube guitar amps to old hifi decks: We sampled everything that we liked to use in extraordinary mixing and tracking sessions. The results provide you unique tone shaping tools that are exclusively available in "Nebula-Land"! Because most libraries are based on a small number of samples and the fact that those products will ship "raw" without installers and manual we can offer them at an incredible price! However, they are built of the same distinctive quality that you know from our boutique releases. Based on a graphic equalizer from the 70s. It was an important tone shaper in the signal chain of Eddie Van Halen's guitar sound. Maybe the sound can be compared a little bit to the punchy A*I style. TwangMojoQ is the propably most characterful Nebula EQ. It is derived from the tonestack of a famous tube driven guitar amp. The library consists of 3 different types of the high shelf filter that use up to 7 kernels for harmonic distortion! The flagship of the library, the "TMojoQ Type3 7K" high shelf will add a nice grittiness by the harmonic distortion while still adding a very pleasant high end to your tracks! Q: Who should take a closer look on this library? A: Anyone who likes to use an extraordinary high shelf filter with tons of character! Q: Who should skip this release? A: Anyone who is looking for yet another studio classics emulation. Q: What was the idea behind this EQ? A: We used the hardware setup to brighten up a pair of dark drum overheads (we used Coles 4038). The results were stunning as we emphasized the "beef" of those ribbons while clearing the track at the same time. Our go-to EQ on that vintage early-reggae drum overheads! Last edited by analoginthebox.com on Thu Jun 20, 2013 12:34 pm, edited 2 times in total. yeah! interesting release and more interesting the whole library line! how many bands can we get from one program? how does it work generally? it's a graphic eq so I would like as many bands simultaneously as possilble.. I would be happy to read the manual too..
Yep loving the Twang Mojo. Fitted straight into my latest mix. "quick fix" patches that the devs are doing really work for me.